Are you manipulating or persuading? First let's describe manipulation. It is the coercion, tricking, or forcing of someone's decision. It is all about control. It is not allowing the voluntary decision making process, regardless of how it looks. In simple terms, it is putting someone in a corner with regards to their choices. Persuasion on the other hand is allowing the person to come to their decision voluntarily and without the overt influence or authority or threat. It is appealing to their heart, mind and emotions through compelling communication and not a threat, however slight. 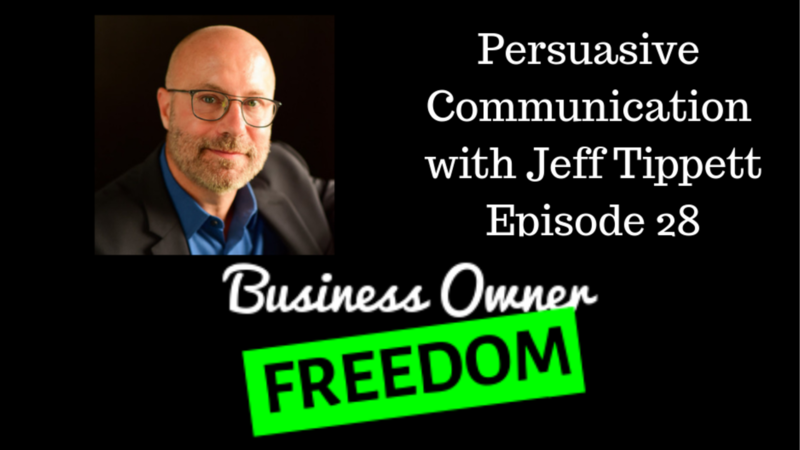 As you listen to Jeff explain the power of persuasive communication in this episode, it is abundantly clear that as a business owner you want to be persuasive and influential in your communication. It is the only way to build a culture of trust and buy-in. We must guard our company's culture at all cost from anyone being manipulative vs. persuasive, especially in leadership positions. With persuasive communication, not only do we build trust with the team, we also elicit transparent and honest feedback. We find that we do not short circuit the communication process (reference Episode 27) and actually enhance it. The end result is a team that finds the company mission one they can grab onto and one they can support. Listen to Jeff's example of how he used persuasive communication in a real life experience outside of business. It will emphasize how important understanding these concepts are in all walks of life. We can benefit from practicing proper persuasive practices at home, and with friends as well. No one like to be told what to do, however everyone is looking for direction. These are two different things. If you want to learn more, read Jeff's book, Unleashing Your Superpower. It is a great resource and will further your knowledge on persuasive communication.